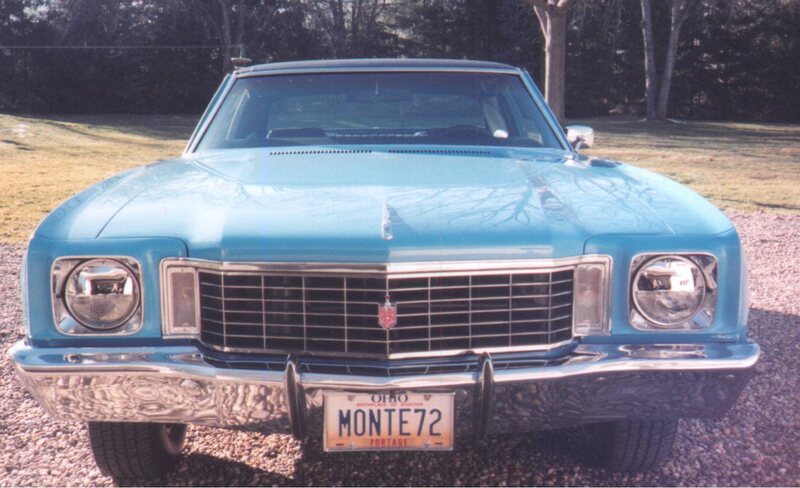 Here are some photographs of my 1972 Chevrolet Monte Carlo. 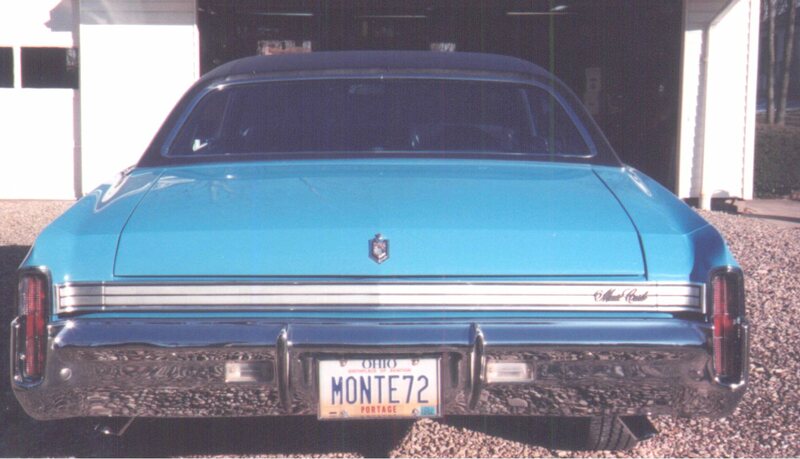 As you can see it is Mediterranean Blue with a black vinal top. It has a 175-hp Turbo-Fire 350 V8. With the Turbo Hydra-matic transmission. I bought it in the spring of 2000. The V8 was redone in early 2001 and the exterior and interior were done in early 2002.